Community members would serve as volunteer translators and assist patrol officers responding to various calls for service. 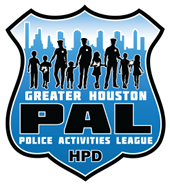 The Greater Houston Police Activities League (GHPAL) is actively recruiting Houston area youth ages 8-18 and adult volunteers to participate in athlete, educational and mentoring activities. HPD has a new blog where you can see upcoming events, pictures and descriptions of past events, and find information to contact HPD Public Affairs Community Relations. The Greater Houston Police Activities League (GHPAL) is actively recruiting Houston area youth ages 8-18 and adult volunteers to participate in athletic, educational and mentoring activities. HPD is now hiring for our upcoming classes. HPD offers a rewarding career, exceptional benefits and a competitive salary. To apply and learn more visit hpdcareer.com. Has a HPD Officer or Civilian Employee provided you with exceptional service? Let Chief Acevedo know. Read commendations sent in by the community for HPD personnel. 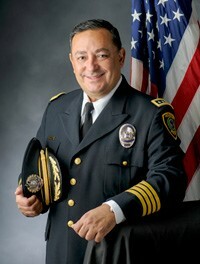 Art Acevedo was sworn-in as Chief of the Houston Police Department (HPD) on November 30, 2016. 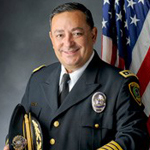 Chief Acevedo believes good communication is vital for a successful community and steadily works to strengthen the bond between the community and its police department.